This article will walk you through the process of creating an account on DR POWER. Go to the DR Power Register page to fill in the Username (the identification that recognizes you as the user on your account), Email (the address that will be linked with your account and receive all emails from the system), and About (a short description of who you are and your intention with the account) fields. Once completed, select the Create new account button. A notification will appear on the top page below navigation pane showing the account has been successfully created. A welcome email has been sent to the provided email. 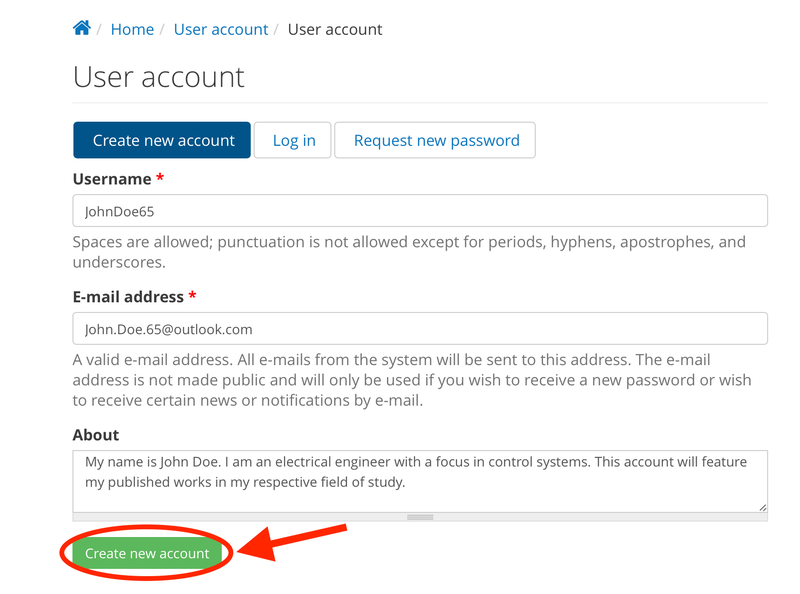 You should now have two emails in your inbox from signing up with an account through DR POWER. The first is an initial, “thanks for registering” email, welcoming you to the website. The second is a “welcome approval” email, that includes instructions and a link requiring action in order to complete your one time password setup process. Once you have clicked on the link, you will be redirected to the DR POWER website to complete setting up your new account password.